Needle felt Easter eggs are quick and easy additions to your spring decorations. The materials for needle felt Easter eggs are few and the results are quick! 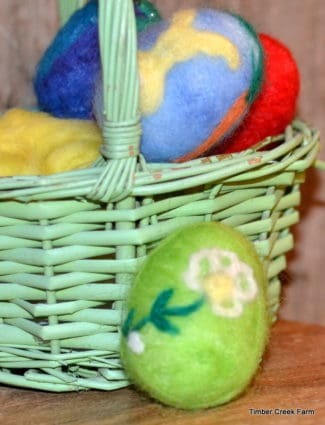 Soon you will have a full basket of colorful needle felt Easter eggs to bring out year after year. Wool felting needle. These often look like the ones pictured below. A felting needle is very sharp so take care when handling it. 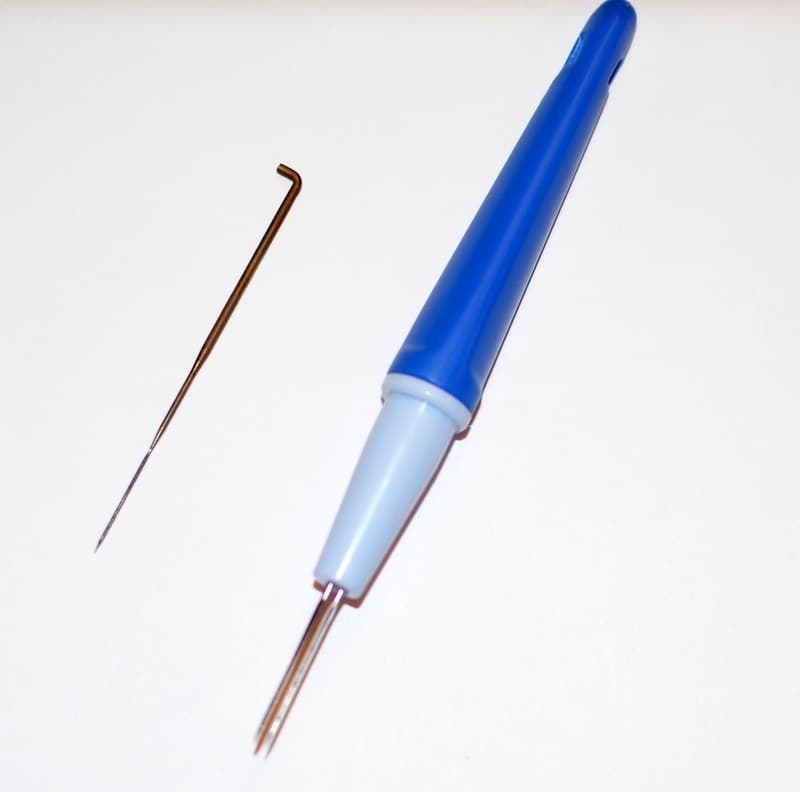 Also, the shaft of a needle felt tool has barbs on the shaft to further pull the wool fiber together into felt. Be cautious and do not handle the lower part of the needle shaft. 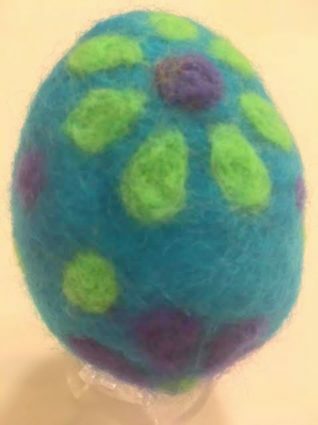 Styrofoam egg (If you avoid Styrofoam, you can use a thicker wool to make an egg shaped core. 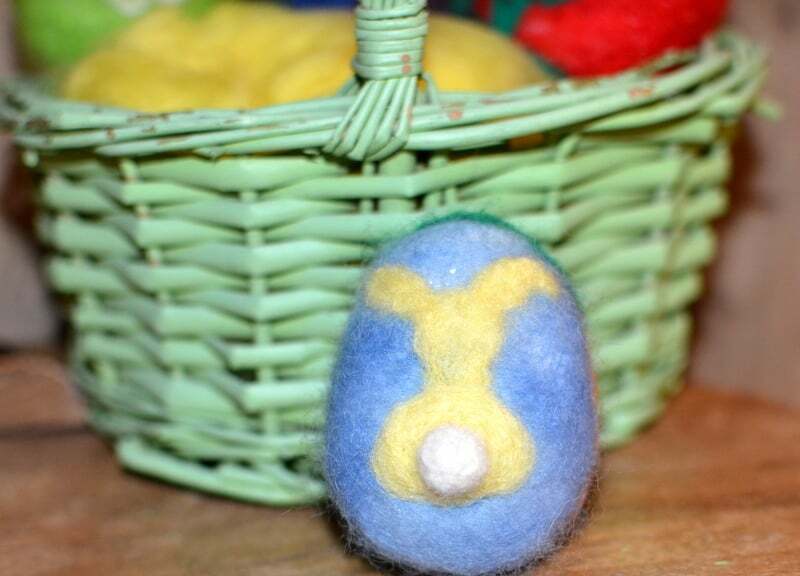 Then proceed to decorate your 100% wool egg, as follows. Directions on sculpting with wool can be found in this post. Small amounts of dyed wool roving. This is the way it is often packaged for sale. 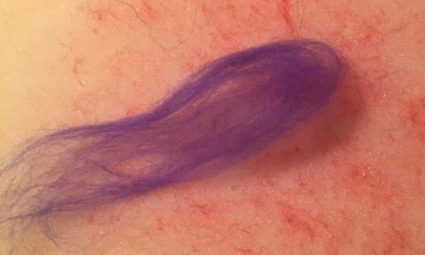 If you have access to your own wool locks or roving, you could make your own naturally dyed roving using the process described here. Take a small piece of wool in the base color you want your needle felt Easter egg to be. Use one color or mix the roving pieces for a variegated effect. Using the felting needle, stab up and down repeatedly , in a shallow method. 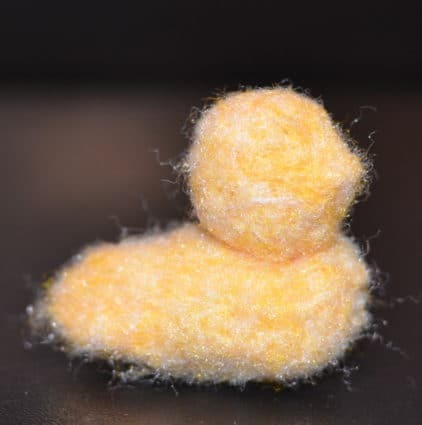 Doing this repeatedly begins to lock the wool fiber together tightly, forming a felted covering over the Styrofoam egg. 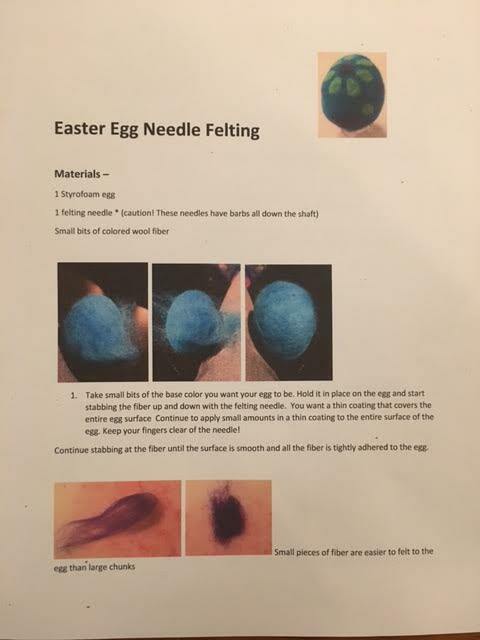 Add more roving as needed to completely cover the surface of the egg. 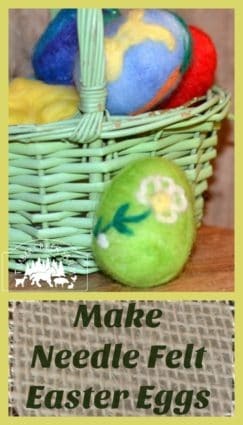 After you cover the egg in the base color of fiber, begin to decorate the egg using any design you prefer. You can easily make vines and leaves by pulling off a small strand of roving. 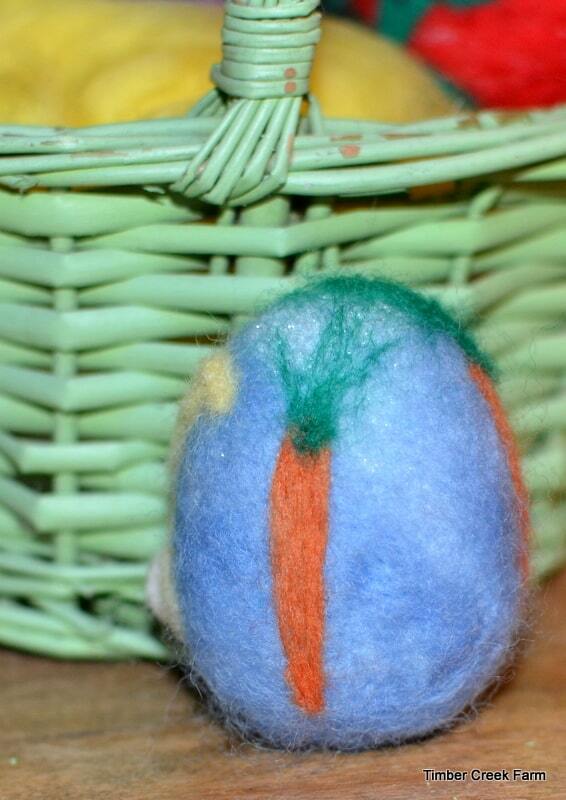 Twist the fiber into a thinner cord and apply it to the egg using the felting needle. Work in small sections at a time, twist further, and proceed until the vine is how you like it. Using small bits of wool as opposed to larger chunks, will be much easier. You can always add more if the shape isn’t as large as you wanted it to be. Other simple decorations are polka dots, squiggles, stars, petal flowers, carrots, and simple butterflies. Take a look at the butterfly shown in the examples. 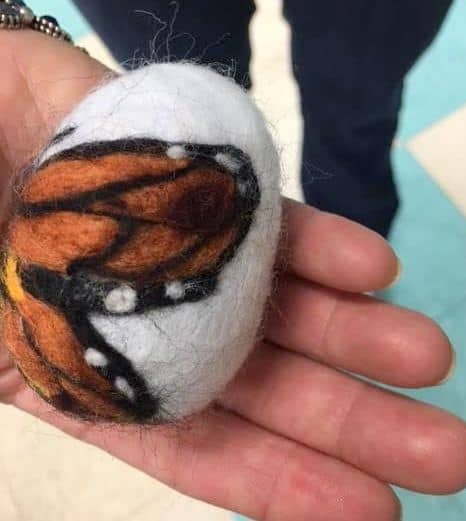 The butterfly Easter egg was made by a new needle felter, in a class I recently taught. The detail is amazing! It really is that quick to learn this craft! 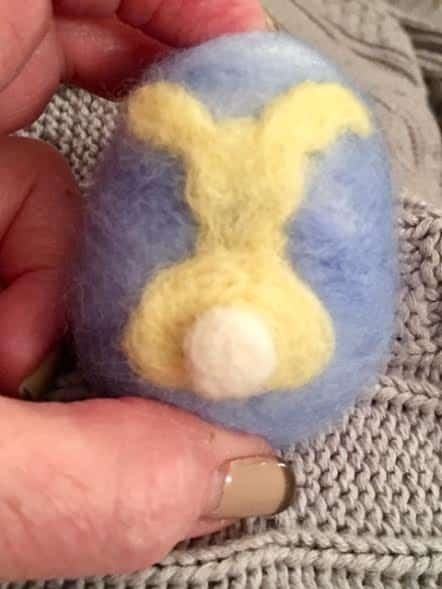 You can try other methods of needle felting too. 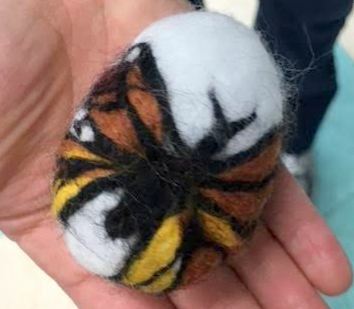 Use needle felting to create felt decorative accents on clothing, purses, and wall hangings. Sculptures can be created by needle felting, also. Take a look at a few free form sculptures I have created. 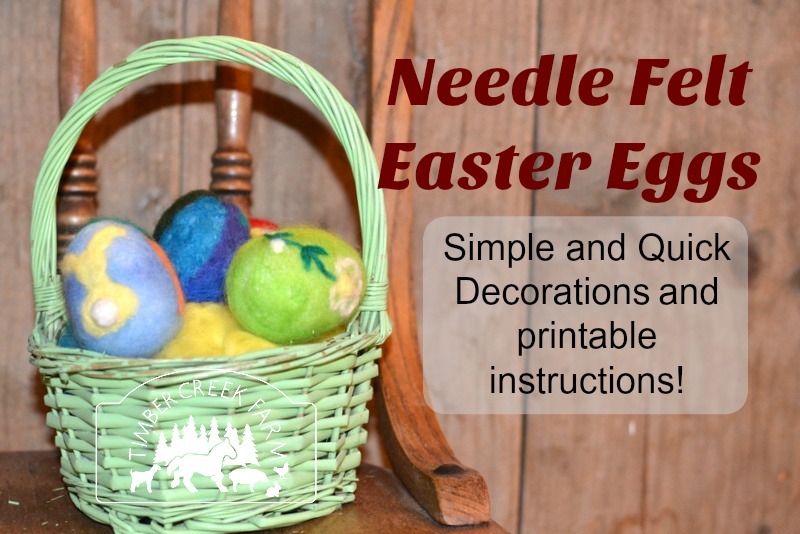 Click on the following documents to print the directions for needle felt Easter eggs. 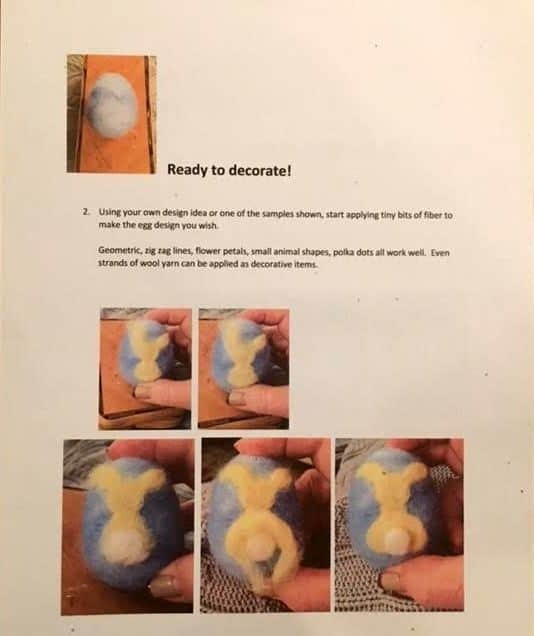 Please help me share this post so others can also learn this fun, easy and enjoyable craft. Thank you! Great post! Thanks soooooo much for teaching this at the retreat!! I had so much fun sharing this craft with the ladies at the retreat!